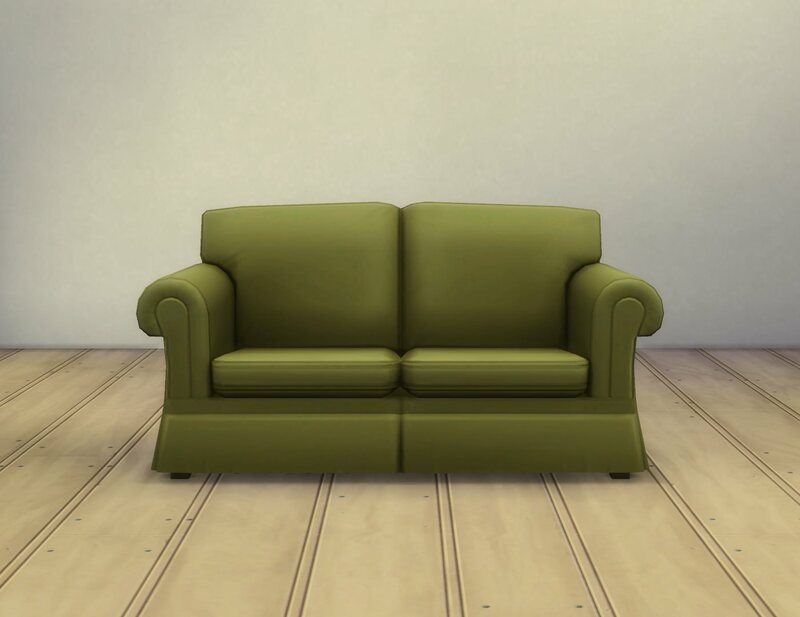 A loveseat that matches the Maxis “Hipster Hugger” sofa; all textures are referenced directly from that so it 1. contains no duplicate clutter and 2. is guaranteed to match exactly. 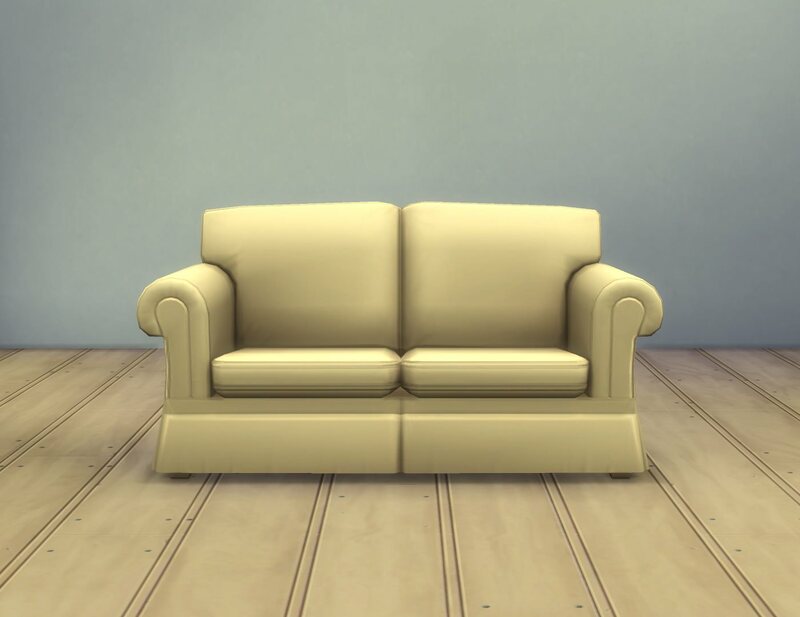 Some recolours for both the sofa and this are available here. 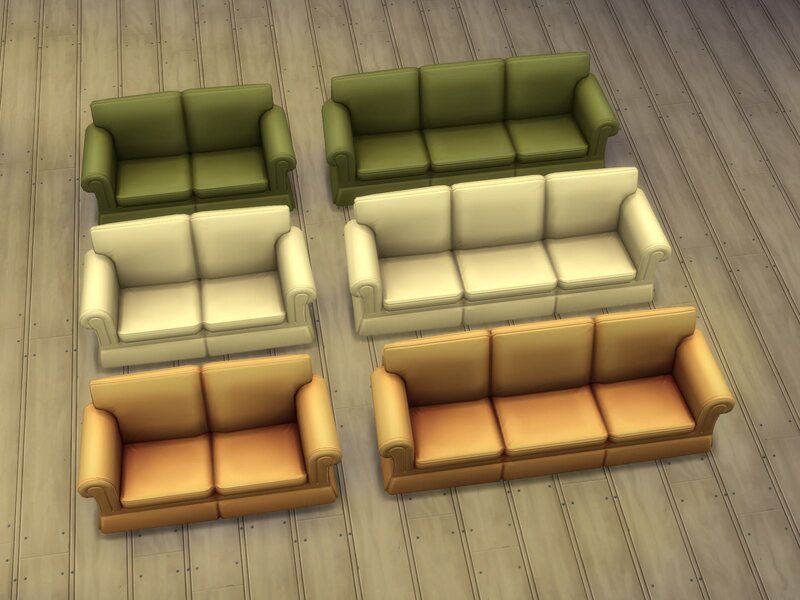 More recolours by SaudadeSims available here. 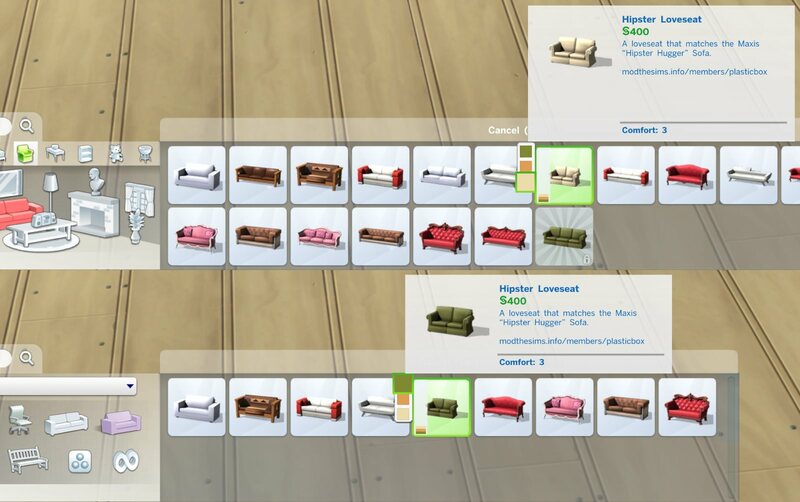 A matching living chair mesh by lexiconluthor is available here, recolours here (warning: duplicate textures). The rig is also Maxis so hopefully when they introduce hamsters or whatever, it will automatically be updated. We’ll see. This is a regular object, it does not need to be unlocked and has no supernatural features. 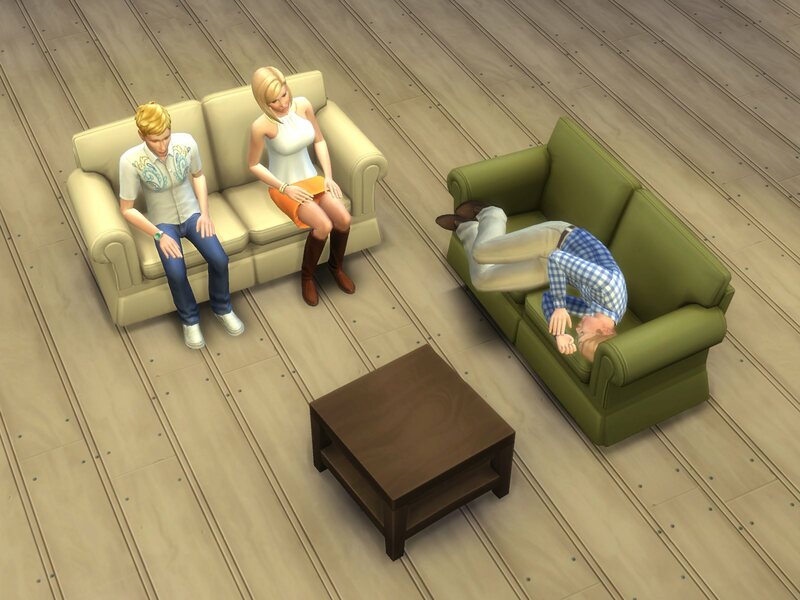 Available in Function > Seating > Loveseats and Room > Living > Loveseats and sofas for 400§; same three colour options as the sofa. Swatches are adjusted to match the actual texture more closely; the white colour variant (this is white, isn’t it?) 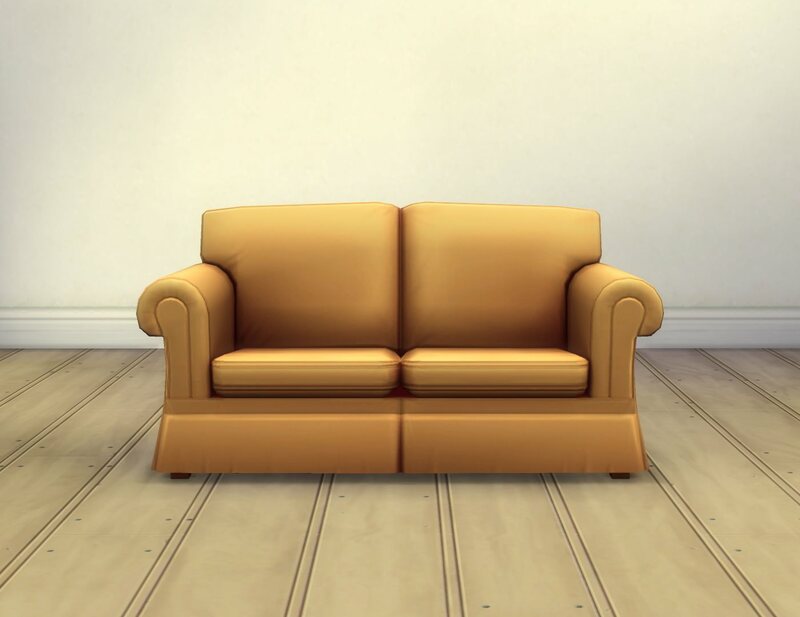 is also flagged for White and not Yellow like in the sofa. blender, Milkshape, s4pe, TSRW, ModdingToolkit. These recolours may or may not be endorsed by plasticbox.